Chelmsford City racecourse is a major step closer to fulfilling ambitious dreams that will include a new turf track on the inside of the existing all-weather racing surface after planning permission was granted for a casino to be included in a major new complex. The development, by coincidence announced almost simultaneously with the stunning news concerning plans for Kempton's closure and a proposed new all-weather track at Newmarket, will create the UK's first Racino, a concept that has proved crucial to the viability of many racecourses in the States and other parts of the world. Work could begin as early as next year on the turf track and on a new five-storey grandstand on the outside of the course which will house the casino and for the first time offer spectators a view of the entire track. The existing grandstand, which unusually is placed inside the racing oval, will remain in place, offering additional hospitality facilities for racing and other events. 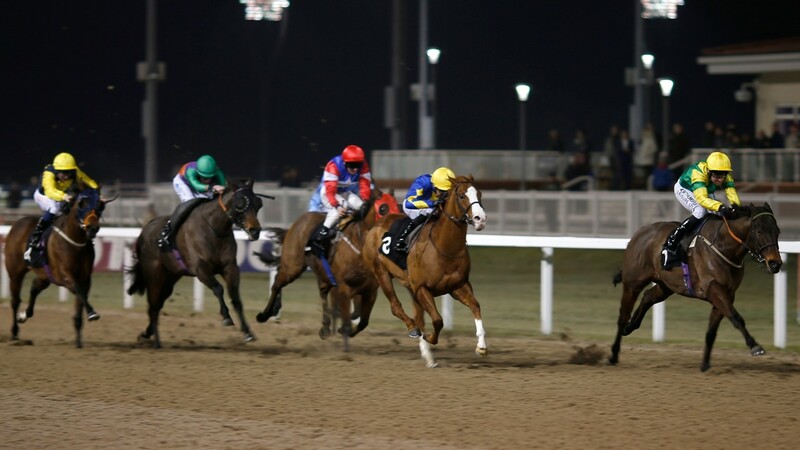 It is barely two years old, having been opened when racing resumed following the six-year hiatus that followed the closure of the track formerly known as Great Leighs owing to major financial difficulties less than a year after it first opened in April 2008. The new plans will enable the racecourse, which has gone from strength to strength since it was rebranded, to offer leisure and banqueting facilities 365 days of the year. It is claimed it will also make Chelmsford the first racecourse in Europe to offer floodlit racing on turf. A turf track featured among the original plans for Great Leighs. It will inevitably be tight, since the all-weather track measures only a mile and half a furlong, and there will be logistical issues to overcome before it is passed by the BHA. Trainer Marco Botti, the first in Newmarket to offer a reaction, was not enthusiastic about the concept and said: "I don't really see the need for it and it would be a bit tight in any case. We do well at Chelmsford and it's better as it is, just all-weather." However, the new consortium which owns the racecourse, headed by Betfred boss Fred Done, is keen to bring turf racing at Chelmsford to fruition. Racecourse chairman Joe Scanlon, who is looking forward to staging Group races and mixed meetings one day, said: "Over the course of the last few years the leading casinos across the world have been changing into multi-purpose complexes offering a full range of facilities to complement their gambling options. "Here at Chelmsford City Racecourse we will be the first to offer a fully integrated racecourse 'resort' or leisure destination with entertainment. It's fantastic news." Scanlon is not concerned about the impact plans for all-weather racing at Newmarket might have on Chelmsford. He said: "On balance I can see quite a lot of positives. Newmarket is only a skip and a jump from here and I can see our area developing into a centre of excellence for all-weather racing. We're keen to introduce start-up opportunities for trainers here and there would be obvious benefits in terms of low-cost transport and so on." Scanlon added: "We want to have Group racing here and mixed meetings under floodlights, and we support anything that raises the profile of all-weather racing." Managing director Phil Siers said: "A leading development like this can only lead to bigger and better support for our racetrack. We look forward to the day we are offering a minimum prize fund of £100,000 per meeting and regular turf and all-weather racing for our horsemen, trainers and owners alike, who have supported us through the transitioning of Chelmsford City to a leading racetrack." Siers acknowledged entrepreneur John Holmes has played a key role in gaining consent for the casino in his new position of planning director. Holmes, the man behind the original development of the former Essex County Showground as Britain's first new racecourse in 81 years, said: "The grandstand project is as exciting now as it was when first envisaged and has not dated in that time. 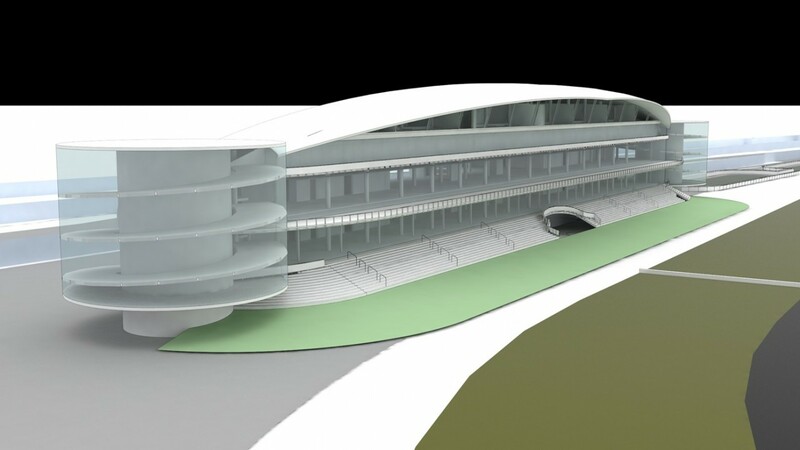 "Completion of the scheme will enable Chelmsford City Racecourse to take its place among the top tracks in the world. The floodlit turf track accompanying the grandstand will provide Britain with its first facility of this kind."